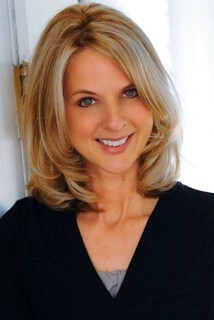 Carrie Phelps has over 30 years experience in the health and wellness field. Formally trained in the Institute for Healthcare Improvement Methodology, Carrie served as a consultant and project manager for Activate America, a national YMCA organizational wellness initiative. Recently she served as the Senior Director of Strategic Initiatives for the YMCA of the Pikes Peak Region where she initiated and mobilized sustainable organizational learning environments, strategic thinking and action, and program design for high impact. In 2001, she helped develop and implement the Institute for the Healing Arts in Nashville Tennessee. Working with an integrated team of healthcare professionals, Carrie served as the Director of Integrative Medicine, and established a comprehensive approach to total health. As a faculty member of the Center for Mind-Body Medicine based in Washington D.C., Carrie trains clients and healthcare professionals in scientifically-proven mind-body approaches. She has conducted hundreds of wellness presentations, workshops, intensives, and certification courses to medical staff, high-level executives, and the general public. She is a certified life coach, one-on-one HeartMath provider, and Nia instructor. Carrie received her Masters degree in Exercise Science from Denver University. Currently, Carrie is the Health and Well-Being Technical Advisor for YMCA of the USA and a doctoral student at Saybrook University where she is studying mind-body medicine with a concentration in healthcare systems. Carrie is also currently participating in a Dialogues in Action Fellowship, working with a select group of individuals from around the country who are committed to helping organizations rethink the development of their people and systems in order to better serve the cause of their organization. Carrie’s training and vast experience in physical science, holistic medicine, organizational development, innovation, and individual coaching give her a unique, comprehensive, contemporary, and refreshingly effective approach to individual and organizational well-being. The Ph.D. program in Mind-Body Medicine at Saybrook University is a perfect match for Carrie’s professional and personal interests. Carrie’s mission it to “create a transformational model of wellness that inspires and energizes well-being, expands potential, fosters fulfillment, and enriches lives.” The Mind-Body Medicine program (healthcare systems track) offers a perfect combination of academic, experiential, and practical education, training, and research in systems science, mind-body medicine, and humanistic psychology-all the components needed to innovate, implement, and sustain an effective model of holistic healthcare. Saybrook University college of Mind-Body Medicine emphasizes that self-care is central to all healthcare, which Carrie wholeheartedly believes. Carrie is grateful for her extensive education and training in biomedical science (Masters degree in Exercise Science), however, Saybrook has given her the education, skills, and tools to work with human wholeness (body, mind, emotion, and spirit), which is essential for sustainable individual and organizational health and well-being. Carrie has revitalized her life by personally engaging in daily holistic healthcare practice (e.g., mind-body movement, mindful eating, biofeedback, meditation, and holistic stress management). She supports others in mind-body practice through mind-body skills groups, personal coaching, workshops, retreats, presentations, professional training, and organizational consulting. She transforms lives by helping people see, feel, and experience the fundamental principles of good health (the integration, harmony, and balance of spirit, mind, body , and emotion). She helps people develop the skills for self-awareness and self-care to reduce stress and fatigue, increase vitality, boost overall sense of well-being, enhance clear thinking, improve relationships, feel better more often, and promote healing. If you would like to learn more about Carrie Phelps and her work, please contact her at [email protected].